The section allows site administrator to enable watermark option on the site and manage its settings. 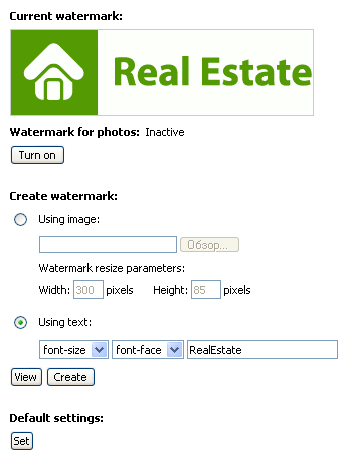 Watermark is a logo or text that is superimposed on site images. Images are watermarked because they can be stolen from your site.